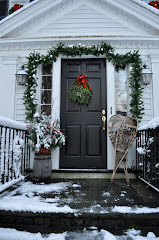 Time has raced by and I'm happy to be back to blogging! We finished renovating the beach house and spent the summer enjoying the ocean and the beauty of Cape Ann. I will post photos of the transformation in the coming weeks. 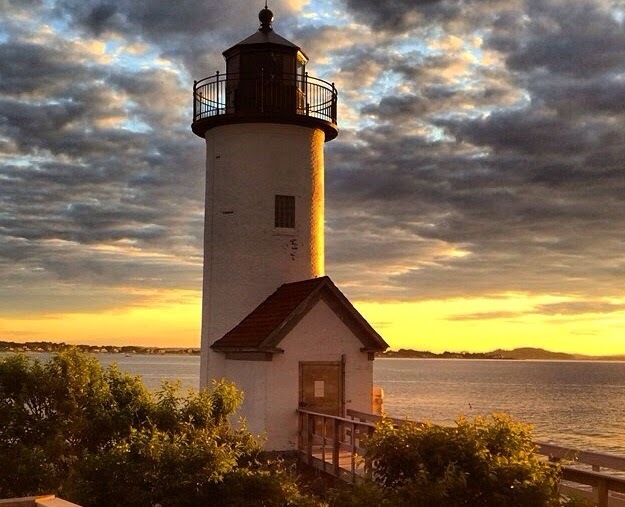 But until then, above is a photo of the Annisquam Lighthouse at sunset that we took on our last night at the beach. Wasn't the sky amazing? Here is a photo of the house with the new roof and all the new windows installed. The roof lines are all rounded and curved, which is difficult to do. I am so glad we found a master roofer to take that challenge on. We have done so much to update it - I will give you a tour when I get back up there and take some proper photos. For now I wanted to share with you a new project I am working on. I am designing a new fireplace surround for a ski house in Colorado. It is a renovation project of 1970's townhouse with very boxy rooms and almost no architectural detail. The furniture is going to be modern, but I want introduce some rustic design elements. The current fireplace is gas and we will be replacing it with a new gas model. We love the look of the fireplace above. 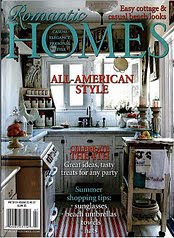 I have been searching for old barn board and corbels. We love the whitewash of the wood. The hearth looks to be stone or copper and is rounded. We decided to start with this as our inspiration. Here is another shot of the same fireplace surround. This photo is from the Serena and Lily catalogue. 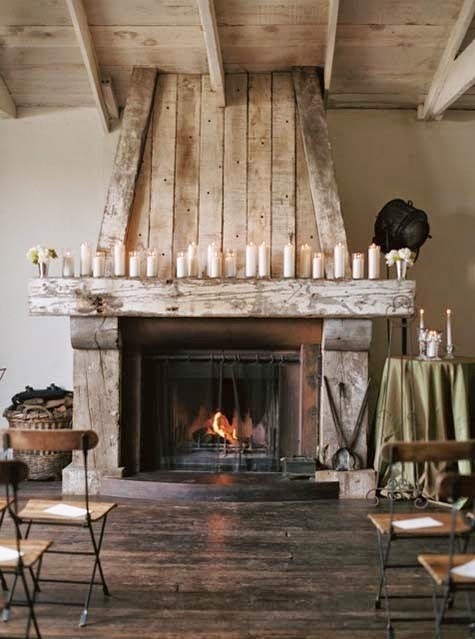 In fact, their current holiday catalog also has another wonderful shot of this fireplace. Here you can see a closer view of the hearth. 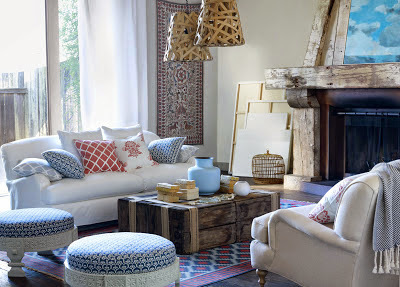 I love the roughness of the wood and the texture it adds to an otherwise plain room. 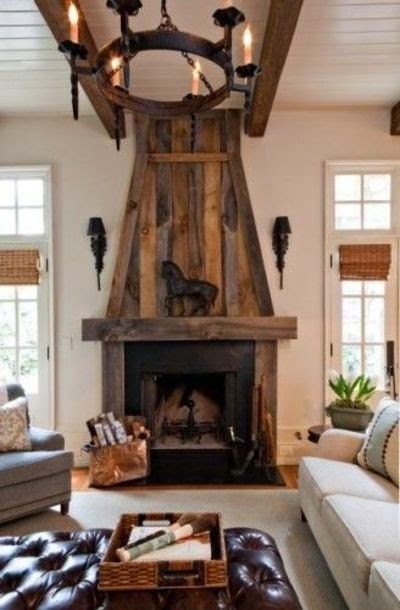 I found this fireplace on Pinterest. Sorry for the photo quality, but I included it because the surround has a very similar feeling. 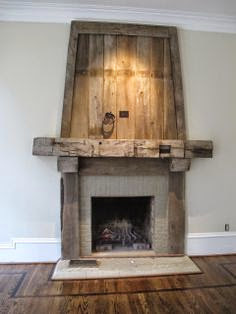 Another example from Pinterest, but this fireplace doesn't have the heavy corbels on either side. I think it may be better scaled for my project. I do like the natural, aged color of the barn wood. Again, you can see how much architectural interest it brings to the room. Also from a cost perspective, I am able to find relatively inexpensive wood in the barns of New England. My finish carpenter is so talented and has assured me it can easily be recreated. Unfortunately we haven't addressed the placement of the TV. My plan is to somehow incorporate doors to hide the TV. Here is an example, but I still haven't quite figured out how to work it into the design. When searching for wood for the project I hope to find some interesting doors. I like these above - but they are not exactly right. I may have to design them myself out of the barn wood scraps. Either way, it's an exciting project and I am thrilled to begin the process. It's wonderful to be back blogging. I have missed hearing from you all and I do hope you stop by and let me know how you have been. I've been keeping up with my favorite blogs, and of course, like everyone else, spending too many late nights on Pinterest. Please feel free to follow me there, I have so many fabulous inspiration folders. You'll also be able to view some of the projects I worked on while I was gone! Hope you are enjoying the fall! !